Paint Store :: Shop by Brand :: Varathane :: VARATHANE 00608 6081 SPRAY CLEAR SEMI GLOSS INTERIOR CLASSIC (OIL) SIZE:11.25 OZ. SPRAY PACK:6 PCS. 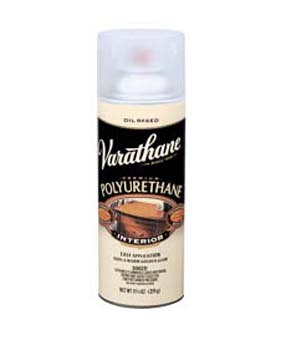 VARATHANE 00608 6081 SPRAY CLEAR SEMI GLOSS INTERIOR CLASSIC (OIL) SIZE:11.25 OZ. SPRAY PACK:6 PCS. UGL 33011 ZAR 330 SEMI GLOSS ULTRA INTERIOR FAST DRYING POLYURETHANE SIZE:PINT. MAJIC 39832 8-1583 DIAMONDHARD ACRYLIC ENAMEL DEEP GLOSS TB #3 SIZE:QUART. WOOSTER F1627 RED SABLE WATER POINTED SIZE:#4 PACK:6 PCS. WHIZZ 57602 FOAM ROLLER SIZE:2" WITH 8" HANDLE PACK:10 PCS. MINWAX 71088 GUNSTOCK 231 STAIN 250 VOC SIZE:1 GALLON.